Limited by transportation issues and permission forms? Invite the Mid-Hudson Children’s Museum to your school! Our museum educators will bring everything needed to provide a fun, educational and interactive program to your students. $275 for the first program; $90 for each additional program on the same day. Long-distance travel fee may apply. 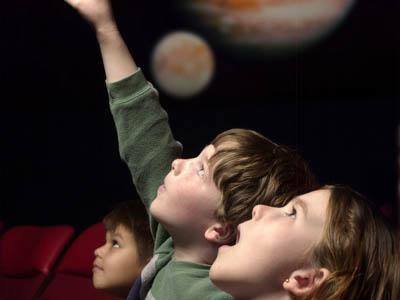 The Mid-Hudson Children’s Museum’s StarLab is an inflatable planetarium. Children will learn how to find some of the most recognizable constellations throughout the seasons, and learn stories of Greek mythology and Native American folklore. This is a wonderful presentation and enhancement for early STEM learning. 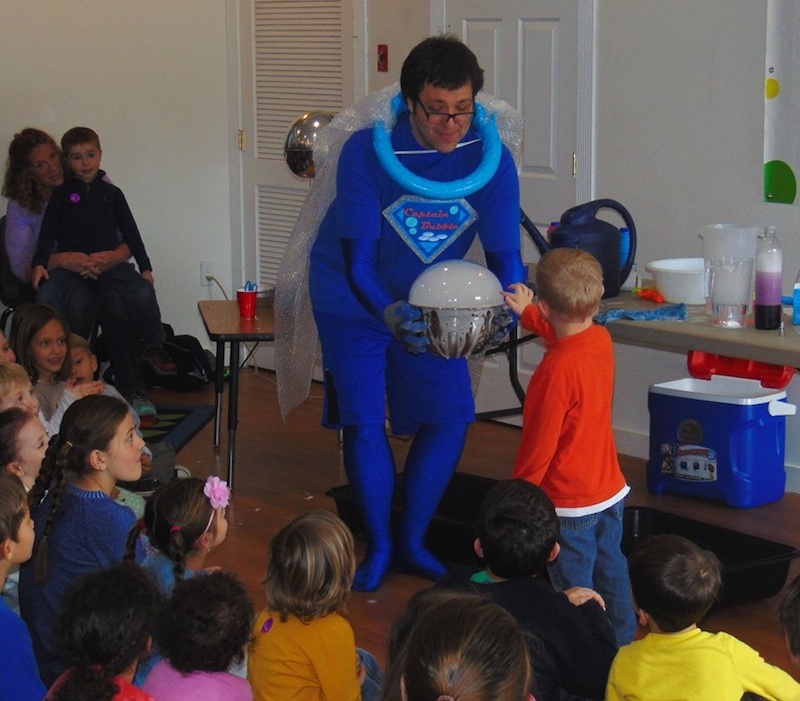 This zany superhero science show will empower your students to be scientists as they learn about states of matter, energy and chemical reactions. Highlights of the show include amazing helium bubbles, bubble-powered rockets and kids being put inside a bubble. After the show, students will break into groups to participate in their own scientific experiments. Supports Next Generation Science Standard: 2.PS1.A. To schedule an outreach program, contact the MHCM Education Department at (845) 471-0589, ext. 17 or by email at pjacobsen@mhcm.org. To inquire about outreach programs, click here.